By Bryanna Cappadona·	 12/20/2012, 9:10 a.m.
A picture written and directed by Academy Award winner Ben Affleck (The Town, Goodwill Hunting), Argo is already predicted to do very well throughout awards season this winter. 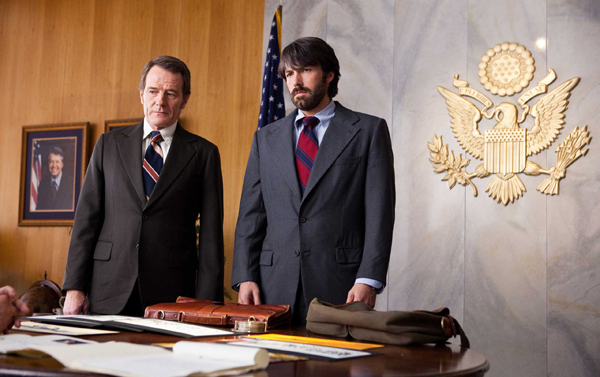 Also starring Affleck as the leading role, Argo has already been nominated for several awards at the Golden Globes this year, including Best Motion Picture, Best Actor in a Supporting Role, Best Director, Best Original Screenplay, and Best Original Score. Considering that the movie stars a round-up of Hollywood’s washouts and ordinary actors, paired with poor ’80s rock covers, Rock of Ages was created to please those who still watch Dancing with the Stars. We apologize that most of America had to witness Tom Cruise singing and strutting around half-naked on screen. Apparently, he’s not over his Risky Business phase in life, even 20 years later.